Squaaaaaaaaaawkkkk! This Champion Rubber Chicken won a blue ribbon for its shrill yell! 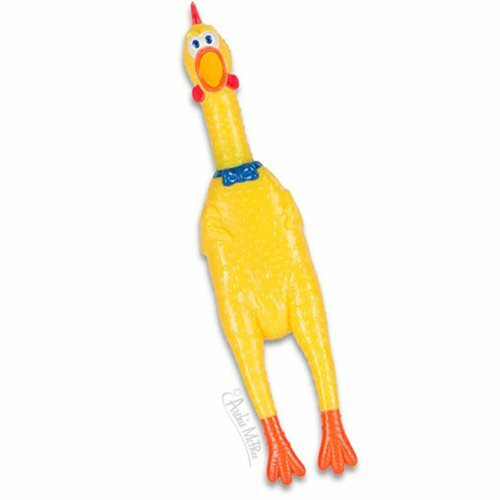 It's a soft vinyl 13-inch long chicken that squeals and squawks with every squeeze. Guaranteed attention getter; we irritated everyone in our office when we were testing it. Illustrated hang tag. Ages 3 and up.